Surface Water Quality Data Trend Analysis (2011-2017) – Report Now Available! Do I need a groundwater license? 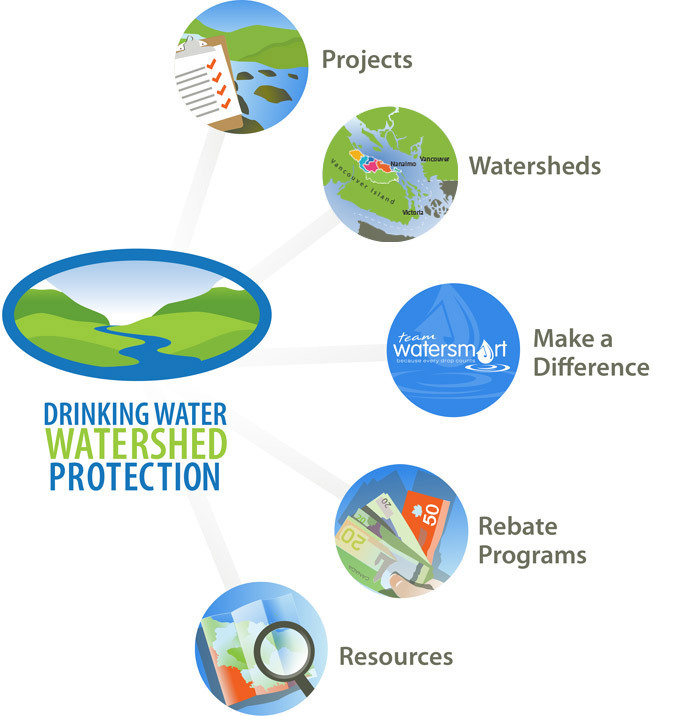 The Drinking Water and Watershed Protection (DWWP) program helps protect the Region’s water resources. Through the DWWP program, we are working to learn more about water in the Region, use this information to make better land use decisions, and help communities protect the environment. Do you live in an RDN Water Service Area? For info on water rates, water quality tests and billing - see our Water & Utility Services page. Check out the Frequently Asked Questions page. The DWWP Program is supported by the City of Nanaimo, District of Lantzville, City of Parksville, Town of Qualicum Beach, and the RDN’s seven electoral areas.